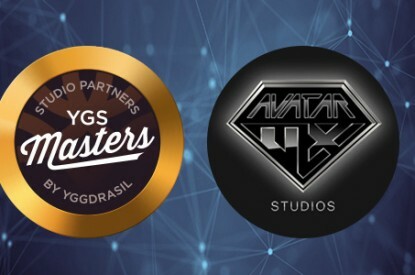 Yggdrasil has announced that AvatarUX Studios will be the latest independent studio to partner with the innovative content provider through its flagship Yggdrasil Game Server (YGS) Masters program. AvatarUX is a real-money and social games studio that specialises in highly interactive, portrait-first casino games with an Asian DNA for the European market, featuring action-packed 3-D graphics and state-of-the-art in-game gamification. AvatarUX has a strong focus on user experience, merging video and casual game concepts with casino features, and delivers its games via Swedish born, Asia-based promoter and serial iGaming investor Carl Wahlin. The first game to be delivered is entitled Kingpin. Through the YGS Masters program, Yggdrasil will be the exclusive distributor of this new breed of game, while AvatarUX will gain access to BOOST, Yggdrasil’s collection of proprietary in-game promotional tools. Carson Wan, Managing Director, AvatarUX, said: “We are thrilled to be working with Yggdrasil. The YGS Masters program is rapidly growing to become a leading venture allowing independent studios to blossom, and we eagerly look forward to being part of it.